It’s devastating to see what’s happened to worship in the church. You’re right. The blindness surrounding the issue is astounding. The insistence that the common trends of the day are most fitting for public worship is wrong and short-sighted. It’s grieving that most churches now let Christians choose to not learn the historic creeds, or the great tradition of hymns and songs, or the great privilege of praying together and reading Scripture together. The commercialization of our sacred time, well, it’s nothing short of tragic. Yeah, we’ve sacrificed so much of who we are. I know you feel like it’s been stolen from you. I know the pain runs deep. I know you’ve lost jobs, friends, family, congregations. I know you’ve paid a dear price. I hear you. I’m one of you. I get it. But here’s the deal. We’ve become part of the problem. It’s not enough to say “we like it.” That doesn’t matter. The worst thing that “contemporary worship” did was come on the scene, label itself as a viable choice, and then get away with labeling the liturgy as a choice, also. But we can learn from the brokenness. It’s not enough to say, “That was my mom’s favorite hymn.” Or, “It’s my preference.” Or, “Those were some of my best childhood memories.” It’s got to be deeper than that, or we’re just guarding our relics, our museum pieces. It’s not about sentimentality. It’s not about taste or preference. It’s about meaning. The bottom line is this. We don’t keep tradition because it’s tradition, or because it’s old, or because it’s comfortable. We keep tradition because it’s worth doing. Because it anchors us. Because it’s bigger than us. Because it reminds us that we’re not alone. Because it keeps us honest. Because it helps us avoid thinking that this worship thing is all about us. Because it builds up the church. Because it lets us better engage our minds with our spirit. Because it helps us respond as the visible community. So maybe we need to rethink our plan of action. And he goes on to list a dozen point where action can be taken. I noted earlier the publication by the Anglican Church of Canada of trial Year A Collects ‘from Pentecost to the Reign of Christ’. In the Canadian Church each diocesan bishop can authorize the this material for trial use in their diocese, and the task Force encourages feedback on their use. The 2014-15 Almanac is now available for Outlook, Apple desktop and iOS Calendar, Google Calendar, Android devices and other formats, with your choice of Sunday, weekday, eucharistic, office, collects, Exciting Holiness lections, for Common Worship and BCP. Is a story about something which didn’t happen news? The Church Times has recently published its list of “100 best Christian books”. Amongst these 100 works there is not a single volume containing or concerning liturgy. The closest is perhaps at number 37 The Prayers and Meditations of St Anselm. This might be considered a strange omission in a list, particularly in an Anglican compilation, although the compilers deliberately decided to exclude the Book of Common Prayer (meaning presumably the 1662 edition) and favourite hymn books. Even so, it is surprising that there are no books about liturgy and liturgical practice included. So I invite readers to make suggestions of books of or about liturgy that they think might have been included, and why. This week’s editorial at Anglicans Online ponders the question When is a service worship and when is it performance?. Our friend enjoys the cleansing end-of-the-day, beginning-of-the-week feel to Compline on Sunday evenings. She, like us, views the services of the Daily Office as worshipful expressions of our beliefs and faith. Imagine her surprise when she sat down with the pew sheet: The second word on the inside cover was ‘performance’. Compline as performance? She brought us the pew sheet. We read it through. Unfortunately, this time the sung service of Compline seemed to be replaced with a concert based on Compline. Soloists were named, a long biographical sketch of the conductor was included. No mention was made of the history or role of Compline in the worship life of our tradition. No mention of welcoming the congregation to a time of prayer. Perhaps we are being too picky. Perhaps it is enough the service is being offered no matter the circumstances. 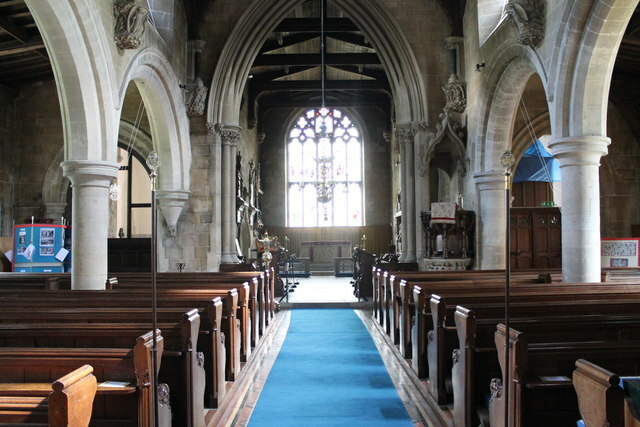 We were left to ponder: When is a service worship and when is it performance? Does it matter? Should it matter? The term ‘president’ signifies an important shift in liturgical thinking. The words ‘priest’ and even ‘minister’, used in the 1662 Book of Common Prayer, appear to have a perfectly clear and adequate meaning. But biblical understandings of priesthood encompassed ideas of a specially-selected person who might carry out functions on behalf of people from which they might even be excluded. The Holy of Holies of the Temple was reserved for the priesthood, who performed their functions largely in secret. A president acts in the midst of a gathering of the people of God. The most ancient Christian churches are modelled on the spaces for civil gatherings of the Roman Empire. This is our model for the setting of the Eucharist. Throughout Christian history, there has been a tension between the roles of priest (ministering on behalf of the people in a holy place) and president. Towards the end of the Middle Ages, with the norm for the Western Mass being the daily duty of clergy, priesthood was paramount, and presidency could virtually disappear. The Reformation began a reversal. In the BCP, English is employed, and the priest must speak audibly. But Cranmer’s idea of a gathering around the holy table set lengthwise in the church with the president at the ‘north side’ soon lost its meaning when the tables were returned to the spaces formerly occupied by medieval stone altars. For the Reformers there were few clear models of presidency at hand, and this meant that the BCP does not provide adequate guidance. The BCP Eucharist begins, not with an act of liturgical presidency, but with the private devotion of the priest. The priest alone says the Lord’s Prayer, and the people are not even invited to respond with the ‘Amen’. They respond only after the Collect for Purity. It seems as though the first task of the priest in this service is not presidency, but, once he has purified himself with his devotions, to admonish the people by reminding them of the Ten Commandments. Traditionally, the priest only turns to face the congregation at this point. What picture must go through his mind as he turns from the vision of saints in a sunlit east window to the people below in the nave? Is he Moses, coming down the mountain from his encounter with God to deliver the law to a disobedient crowd of golden calf worshippers? Presidency is also not very evident at the beginning of the BCP Order for the Burial of the Dead. The priest intones a series of biblical texts as the coffin is brought into church, startling the congregation with a booming voice from the back declaring that ‘I am the resurrection and the life’. It isn’t a good presidential act. And Morning Prayer opens not with a greeting, but with the recollection of ‘the wicked man’. That glorious address to the congregation, ‘dearly beloved brethren’, is lost in what appears like a great deal of finger-wagging. The legacy of centuries of inadequate models of presidency enshrined in the texts of the BCP has given those called to minister a poor model of how to lead worship. What is more, the need to keep to a faithful adherence to the words of the Prayer Book, without additions, made it difficult to assert a presidential role. Fortunately Common Worship encourages flexibility in the opening greeting. The president may add other words of greeting, and may then, after the greeting, give further words of introduction in order to enable and enrich the participation of the entire gathering. The baptism party are acknowledged, and the candidate is named. Returned former parishioners can be welcomed, and significant visitors are pointed out. The president may introduce himself or herself and name others who will take a significant role in the service. The occasion for celebration is highlighted. In short, the president initiates ‘The Gathering’ of all who will share in worship and sets out the journey. With this beginning, the congregation will look to the president to keep them on course throughout the service. The days when the liturgy proceeded without announcements, hymns were simply listed on the board, and the regular worshippers always knew what came next are over. That separation of ‘sheep’, who knew what would happen next, and ‘goats’, who were completely at sea, is unacceptable. The president realises the importance of including everyone so that they are able to participate; kneeling, sitting, standing, speaking without embarrassment. This has the advantage of allowing flexibility into the service without giving the impression that somehow things have gone wrong when the usual order is varied. 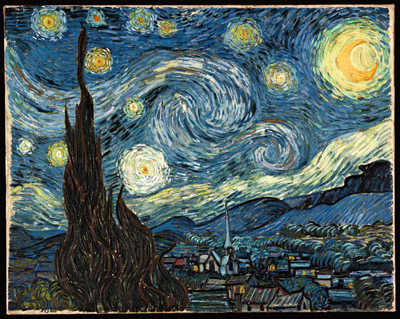 Some may object that they do not want what can appear like an unnecessary running commentary on a familiar service. But the newcomers must be invited in. Indeed, this idea is paramount in gospel stories which provide models for the Eucharist. At the feeding of the 5,000, when the disciples want to send the people away, Jesus gathers the crowd to sit on the grass to be present for the breaking of bread. The presidential role of Jesus at the Last Supper, as Passover is celebrated, is clear in every depiction of the event. The risen Christ takes that role again, at Emmaus, and on the shores of Galilee when he invites the disciples to ‘come and have breakfast’. Jesus presides at the breaking of bread, and gives us the model for the Christian Eucharist. The mould, of the old priesthood at the Temple, is broken, for the veil of the Temple has been torn apart. It is not the business of the Christian priesthood today to try to put it back. Worship matters. It expresses our understanding of God, shapes us as disciples and is the core activity of churches. So what does it mean to lead worship in a church that wants to take whole-life discipleship seriously? 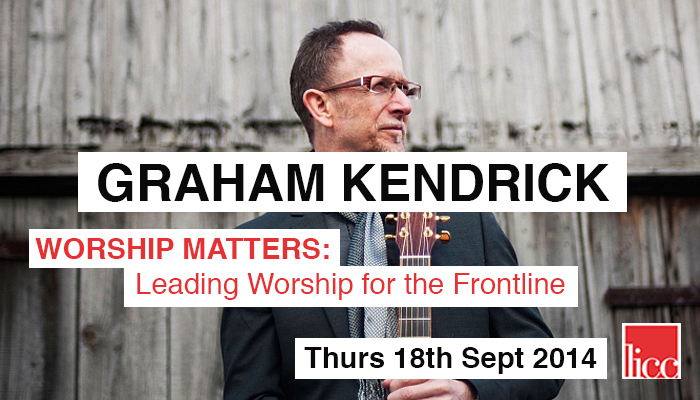 Join Graham Kendrick for Worship Matters: Leading Worship for the Frontline — an evening that offers insight, ideas and encouragement for worship leaders and worshippers, who want worship to engage with the everyday experiences of life on our Frontlines. Why not invite members of your worship team to begin a conversation together about how your church’s experience of worship can be developed to embrace a whole-life perspective. Hosted by Neil Hudson, Director of LICC’s Imagine Project, the evening will also include input from Antony Billington, LICC’s Head of Theology, who will offer some biblical-theological reflection on whole-life worship. You will be equipped and encouraged as you return to your local churches. This event will be streamed live across the internet, if you can’t make it to London why not consider hosting your own group and engage with us on the night via livestream? The role (and other aspects) of the altar or holy table will be considered in some detail in a future post. But this story in today’s press is of some interest. The Daily Telegraph reports that Lincoln diocese has banned [a church] from using altar to serve cups of tea. Worshippers at the St Michael and All Angels Church in Uffington, Lincolnshire, wanted their oak altar to double up as a place to “serve refreshments”. Update: Law and Religion UK provides some more details. Perhaps most significant is that the altar is one in a chapel, not the church’s main altar, pictured above and in the Telegraph report. The petition was to place a table in the chapel which could be used to serve refreshments, and which would be used occasionally as an altar. decided the altar could only be used for worship, not to serve snacks. Ruling that “an interchangeable use for the altar” was certainly not acceptable, he said a “decent table of wood, stone or other suitable material” should be provided in every church or chapel for celebration of Holy Communion. He added: “The table, as becomes the table of Lord, shall be kept in a sufficient and seemly manner, and from time to time repaired, and shall be covered in the time of Divine Service with a covering of silk or other decent stuff, and with a fair white linen cloth at the time of the celebration of the Holy Communion. “It would be completely inappropriate for an altar to be used occasionally for the celebration of Holy Communion, but more frequently ‘for the service of refreshments’. There probably aren’t many examples to hand for the authorities at Leicester Cathedral, who will be compiling the service for the re-burial of Richard III, scheduled for Thursday 26 March 2015. The next days, Friday 27 March and Saturday 28 March, the tomb stone itself will be put in place and revealed and there will be a service to mark the completion of the reinterment. The reburial service will be broadcast live on Channel 4, with highlights being shown in the evening. Further details can be read on the Cathedral’s Richard III site. [T]his raises interesting questions about language. Vespers of the Dead is not familiar today and services were in Latin. Praying for the dead can be a controversial issue, but, despite the condemnation in the Articles of Faith, is part of Anglican practice, although not for all. And in law the Church of England is a continuous body since Saxon times, therefore we are the successor of the Church to which Richard belonged, so an Anglican funeral is entirely right, however we choose to diversify within that. … So what we shall do with Richard, is sculpt something which both recognises tradition and Richard’s faith, but speaks also to the modern world. 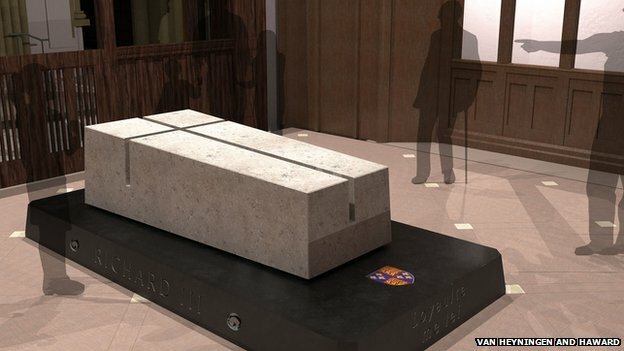 Meanwhile the Cathedral is appealing for £2.5 millions for the re-ordering project which will include a fitting setting for the King’s remains. Some details of the reordering can be found at the Leicester diocesan website and at the BBC. Although full drawings and images of the current plans do not seem to be generally available, information of the 2013 plans submitted to the Cathedrals Fabric Commission can be found in some detail here. My understanding is that the only substantial change from the earlier plans is in the plinth on which the tomb slab will be placed. The Church of England has produced a set of Liturgical Resources for use at services commemorating the anniversary of World War One. They are available here as part of a section of the website dedicated to the commemoration. A candle-lit vigil of prayer and an act of solemn reflection to mark the centenary of the start of the First World War will be held in Westminster Abbey on 4 August 2014. The service is one of a number of events being announced by the Government to mark the centenary of the Great War. Drawing upon Sir Edward Grey’s famous remark that “the lights are going out all over Europe”, the Abbey will mark the centenary by moving from light into darkness, until one candle remains at the Grave of the Unknown Soldier, which will be extinguished at 11.00pm to mark the moment at which Britain entered the war.